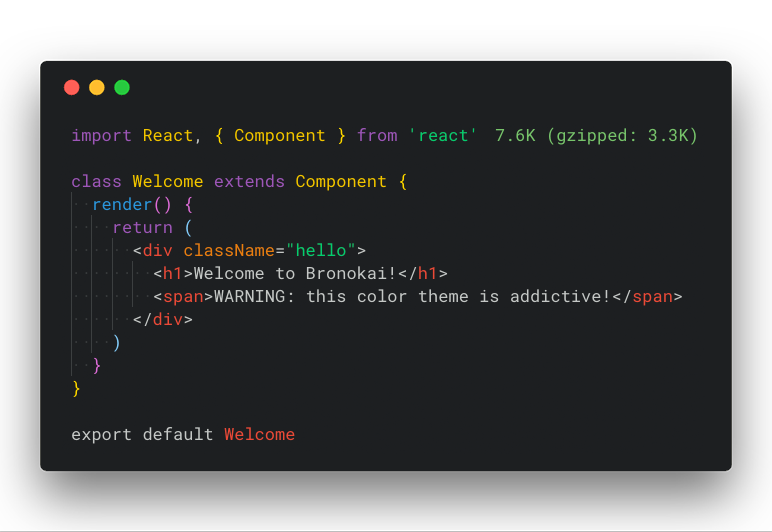 Visual Studio Code>Themes>Bronokai ThemeNew to Visual Studio Code? Get it now. The preview above shows the Bronokai theme with the Roboto Mono font.